If the threat of rising seas and altered ecosystems isn’t enough to convince lawmakers we need some serious climate legislation, maybe the financial bottom line will. A report released today indicates that Arctic melting could cost global agriculture, real estate and insurance anywhere from $2.4 trillion to $24 trillion by 2050! Pew Environment Group funded research for the “Arctic Treasure, Global Assets Melting Away” report, which was released today. 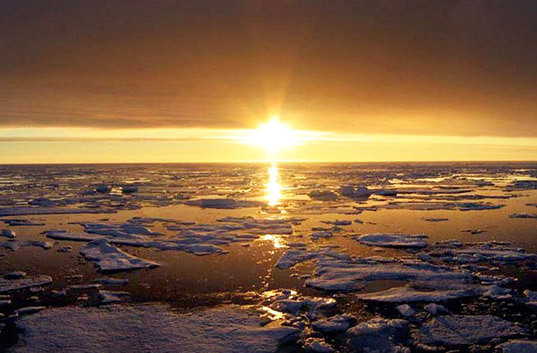 Scientists and economists found that melting sea ice and snow cover in the Arctic is already costing the world about $61 billion to $371 billion a year from damages incurred by heat waves and flooding. As the Arctic continues to warm, it will release tons of methane stored in permafrost. Methane, a greenhouse gas that has about 21 times the heat-trapping impact as carbon dioxide, will cause even more warming and melting. By 2050, damages from ensuing heat waves, floods and sea level rise could cost the world up to $24 trillion. 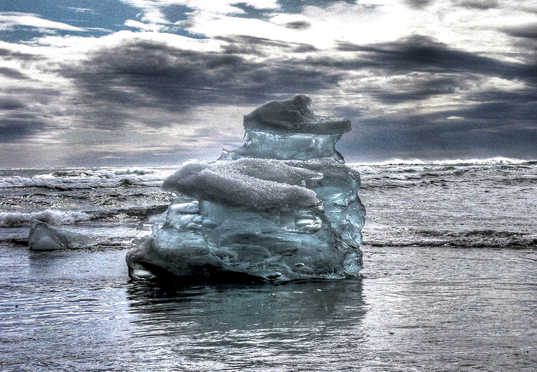 Today’s report is the first attempt to put Arctic melt into financial perspective. However, the study is just one in a growing body of research that highlights the Arctic’s dire situation. According to a Reuters story, scientists said last month that Arctic methane emissions have risen by 30 percent in recent years. And another study shows that climate change is altering the Arctic and melting sea ice even faster than earlier models projected. If the threat of rising seas and altered ecosystems isn't enough to convince lawmakers we need some serious climate legislation, maybe the financial bottom line will. A report released today indicates that Arctic melting could cost global agriculture, real estate and insurance anywhere from $2.4 trillion to $24 trillion by 2050!